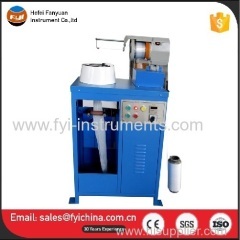 AFT-140 Automatic Filter Tester, it is the good solution for testing particulate respirator filters, disposable filtering face pieces, as a wide assortment of filter media. The built-in capability to test with salt and oil means that just one unit is need to test your product to US 42 CFR part 84, EN 143. Note: this US 42 CFR part 84 Automated Filter Tester tester can conform to but not limit to the standards above, for more standards conformance, please contact us. 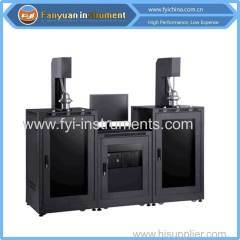  There are 2EA Aerosol Generator in one unit. One is for Salt testing, the NaCl liquid concentration is 10%. Aerosol rate complies to standard. 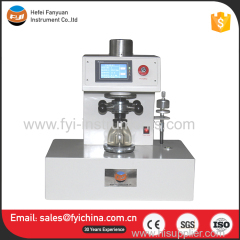 Counter median diameter: 0.075±0.02μm, Particle size distribution of Geometric standard deviation is less than 1.86.The other is for Oil testing. You can select DOP, DEHS, PAO, Parffin Oil, etc. Aerosol rate complies to standard. 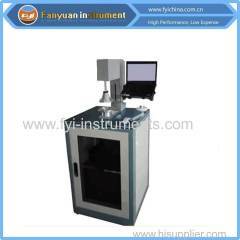 Counter median diameter: 0.185±0.02μm, Particle size distribution of Geometric standard deviation is less than 1.6. 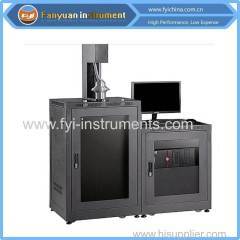  There are 2EA Photometers, Aerosol concentration test rang: 0.001-100mg/m3.  The filter tester not only can test efficiency and resistance, but also can apply to test particulate respirator filters at loading.